Architecture of a micro computer or a micro controller refers to the arrangement of the CPU with respect of the RAM and ROM. 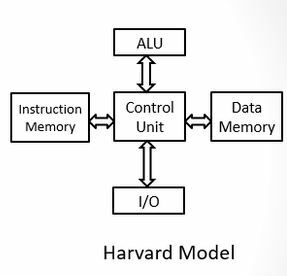 Hence, the Von-Neuman and Harvard architecture are the two ways through which the micro controller can have its arrangement of the CPU with RAM and ROM. Arrangement In Harvard architecture, the CPU is connected with both the data memory (RAM) and program memory (ROM), separately. 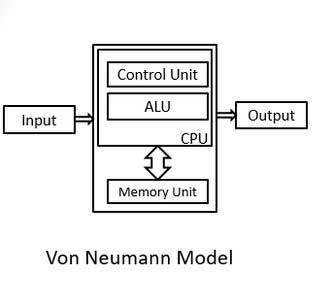 In Von-Neumann architecture, there is no separate data and program memory. Instead, a single memory connection is given to the CPU. Hardware requirements It requires more hardware since it will be requiring separate data and address bus for each memory. In contrast to the Harvard architecture, this requires less hardware since only a common memory needs to be reached. Space requirements This requires more space. Von-Neumann Architecture requires less space. Speed of execution Speed of execution is faster because the processor fetches data and instructions simultaneously . 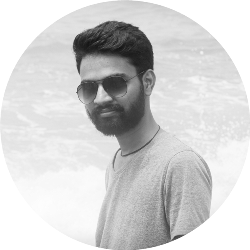 Speed of execution is slower since it cannot fetch the data and instructions at the same time. Space usage It results in wastage of space since if the space is left in the data memory then the instructions memory cannot use the space of the data memory and vice-versa. Space is not wasted because the space of the data memory can be utilized by the instructions memory and vice-versa. Controlling Controlling becomes complex since data and instructions are to be fetched simultaneously. Controlling becomes simpler since either data or instructions are to be fetched at a time. The above given difference between the Harvard and Von Neumann architecture is very helpful in getting a clear understanding of the difference between the two types of architecture.